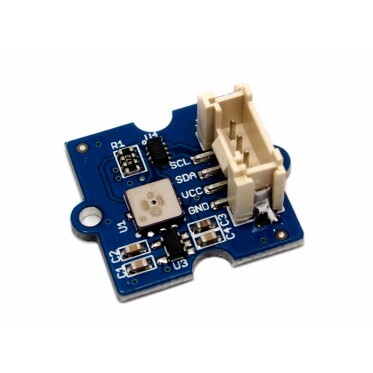 This Grove-Barometer Sensor features a Bosch BMP085 high-accuracy chip to detect barometric pressure and temperature. It can widely measure pressure ranging from 300hPa to 1100hPa, AKA +9000m to -500m above sea level, with a super high accuracy of 0.03hPa(0.25m) in ultra-high resolution mode. 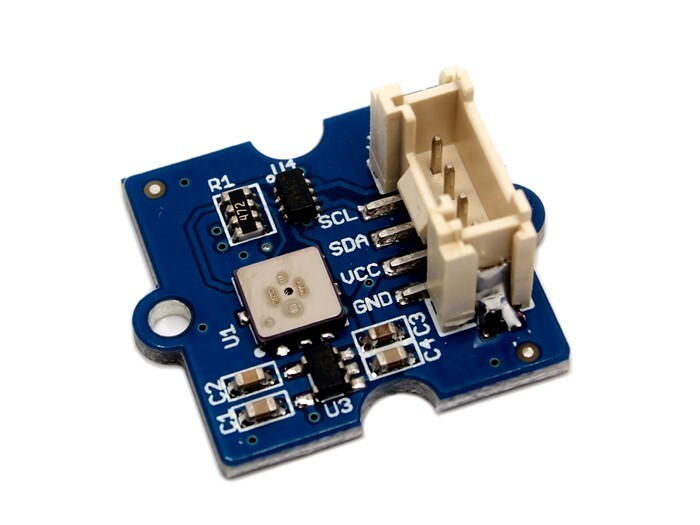 The chip only accepts 1.8V to 3.6V input voltage. 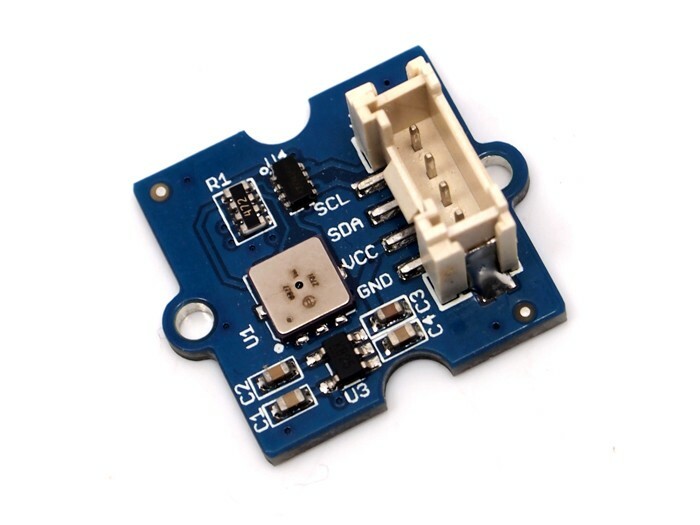 However, with outer circuit added, this module becomes compatible with 3.3V and 5V, therefore it can be used on Arduino/Seeeduino or Seeeduino Stalker without modification.